Location data beamed from GPS satellites are used by smartphones, car navigation systems, the microchip in your dog's neck and guided missiles — and all those satellites are controlled by the U.S. Air Force. That makes the Chinese government uncomfortable, so it's developing an alternative that a U.S. security analyst calls one of the largest space programs the country has undertaken. 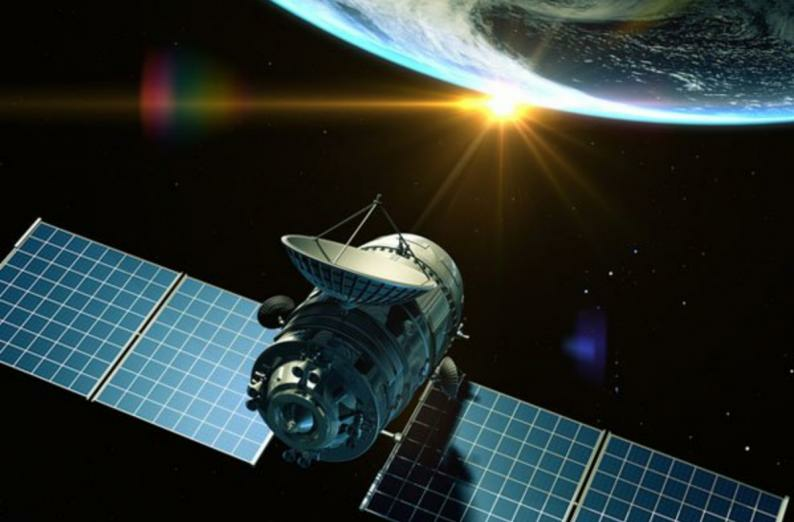 The Beidou Navigation System, currently serving China and neighbors, will be accessible worldwide by 2020 as part of President Xi Jinping's strategy to make his country a global leader in next-generation technologies. Its implementation reverberates through the corporate world as makers of semiconductors, electric vehicles and airplanes modify products to also connect with Beidou in order to keep doing business in the second-biggest economy. Beidou is one element of China's ambitious campaign to displace Western dominance in aerospace. A state-owned company is developing planes to replace those from Airbus SE and Boeing Co., and domestic startups are building rockets to challenge the commercial-launch businesses of Elon Musk's Space Exploration Technologies Corp. and Jeff Bezos's Blue Origin. "It is classic space-race sort of stuff,'' said Andrew Dempster, director of the Australian Centre for Space Engineering Research in Canberra. "The Beidou system has become one of the great achievements in China's 40 years of reform,'' Xi said in a Nov. 5 letter to a United Nations committee on satellite navigation. Beidou also has potential for export as part of China's "Belt and Road'' initiative to build political and economic ties through funding of infrastructure projects in other countries, the U.S.-China security commission said. NavInfo Co., a maker of electronic maps that's backed by Tencent Holdings Ltd., wants to begin mass producing semiconductors for navigation systems using Beidou in 2020, said Wang Yan, a project director. To help stay competitive against budding Chinese counterparts, foreign companies are including Beidou compatibility in their products. Qualcomm Inc., the biggest maker of chips used in smartphones, has been supporting Beidou "for a long time," the San Diego-based company said. Those chip sets also are used in wearables and automobiles. Most smartphones from global sales leader Samsung Electronics Co. support Beidou in addition to GPS, the Suwon, South Korea-based company said, as do handsets from local rivals Huawei Technologies Co. and Xiaomi Corp., according to state media. Huawei is the nation's top-selling brand. "At the moment, Volkswagen Group China does not sell cars with Beidou-enabled equipment, but the next infotainment system generation for cars in the Chinese market will be rolled out in 2020,'' the Wolfsburg, Germany-based company said. "This system will be ready to receive Beidou information." Avionics-systems maker Rockwell Collins Inc., a supplier to Airbus, Boeing and COMAC, doesn't offer products that can access the Chinese satellite network, the company said.